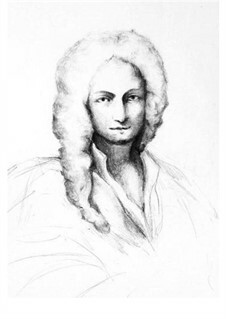 Complete score and parts of the "Chamber Concerto in A minor RV 161" for Strings and Cembalo, by Antonio Vivaldi. Reconstructed and elaborated by Santino Cara. 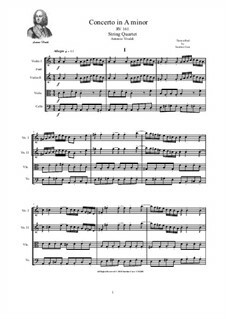 Complete score and parts of the "Concerto in A minor RV 161" for String Quartet, by Antonio Vivaldi. 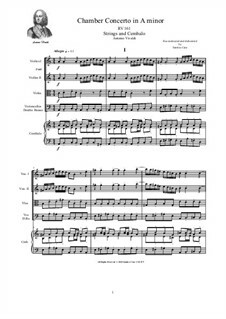 Transcribed by Santino Cara. 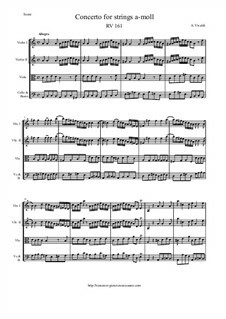 Score and parts Arrangiert von Cara S.
Version für Streichquartett Arrangiert von Cara S.